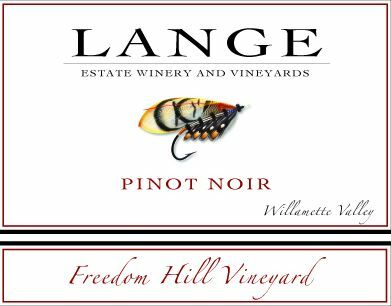 I took advantage of a trip to the Willamette Valley for the 2016 International Pinot Noir Celebration in late July to travel along the Oregon Pinot Trail and visit several wineries. Some winery visits were repeats to check in on the latest wines (The Eyrie Vineyards, Van Duzer Vineyards, Lange Estate Winery & Vineyards, White Rose Estate and Native Flora), while other stops brought new experiences (Arlie Winery, Alloro Vineyard, Bells Up Winery, Knudsen Vineyard and Brooks Winery). The wines tasted in bottle were for the most part from the superb 2014 vintage. Said to be a “Goldilocks” vintage, the weather was not too not, but not too cold, and not too rainy. 2014 was the warmest season on record in the Willamette Valley, but due to higher than normal minimal temperatures rather than high maximum temperatures. A warm spring led to an early bud break, and the season maintained warm temperatures throughout. Nighttime temperatures were well above normal leading to accelerated ripening. Harvest began at the very beginning of September. The dry weather inhibited disease pressure, leading to large crops loads and a ripe vintage. The chart below shows a 13-year degree day comparison from Amalie Robert Winery just outside of Dallas, Oregon: www.amalierobert.blogspot.com. Growing degree days (GDD) are based on the hypothesis that grapevines do not grow if the temperature is below 50ºF. 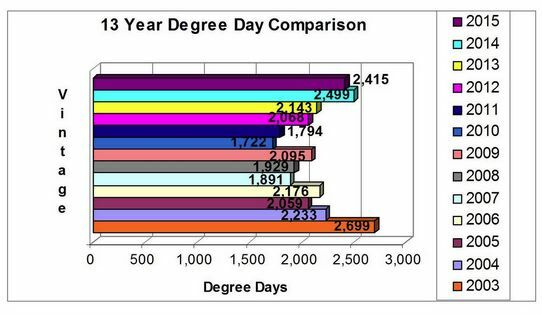 Days in the growing region (assumed to be April 1 to October 31 in the Northern Hemisphere) are assigned degree days according to the amount that the day’s average temperature exceeds this threshold. The formula for GDD is maximum temperature plus minimum temperature divided by two minus the base temperature of 50ºF. The system is used officially in California, Oregon and Washington and other United States growing regions. Oregon falls into the Region I category, that is, 2,500 degree days or less, the same as the Côte d’Or and Champagne. 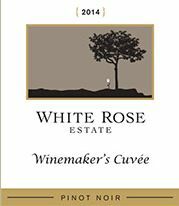 The 2015 wines are still in barrel but this vintage growing season was also warm and dry and the resultant wines share similarities with those from the 2014 vintage. Errnie Pink of Amalie Robert Winery calls 2015 a “Hell Bent for Leather” vintage. Barrel tasting can be very educational, but it is like showing off your newborn baby while still in a crib at the hospital: there is plenty of potential, but you have to be patient. I did some barrel tasting of the 2015 Pinot Noirs and Chardonnays and the outlook is upbeat. This issue I will concentrate on repeat winery visits (Part 1) and talk about my new experiences in the next issue (Part 2). I have a number of outstanding California wines to bring to your attention as well, and as much as I am attempting to shorten the length of the PinotFile to make for quicker and more salient reading, there are important wine releases to ponder. Discoveries on the Pinot Trail Part 1 in this issue: The Eyrie Vineyards, Van Duzer Vineyards, White Rose Estate Winery & Vineyard, Lange Estate Winery & Vineyards, and Native Flora Wines. The tasting room and winery at The Eyrie Vineyards in downtown McMinnville is a hallowed property, the birthplace of Willamette Valley Pinot Noir. When I visit, I feel a calmness like I am in a church. The walls of the tasting room are embellished with historical photos and news commemorating David Lett’s accomplishments. Winemaker and proprietor Jason Lett is in charge now, and he has done a marvelous job in preserving the heritage of the winery, while continuing to refine and improve the style of wines that his father, David Lett, set forth many years ago. The wines are characterized by restraint, elegance, harmony and age ability. 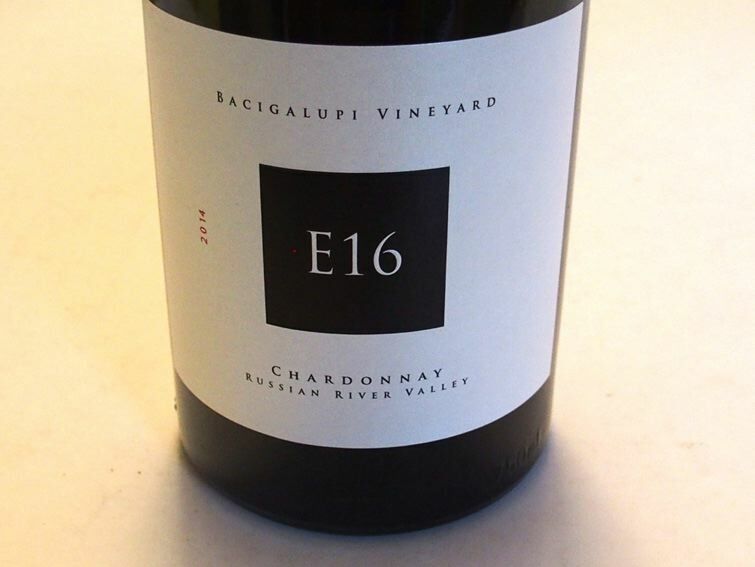 Winemaking changes instituted by Jason including longer fermentations and use of indigenous yeasts have made the wines more approachable upon release, but remain age worthy. 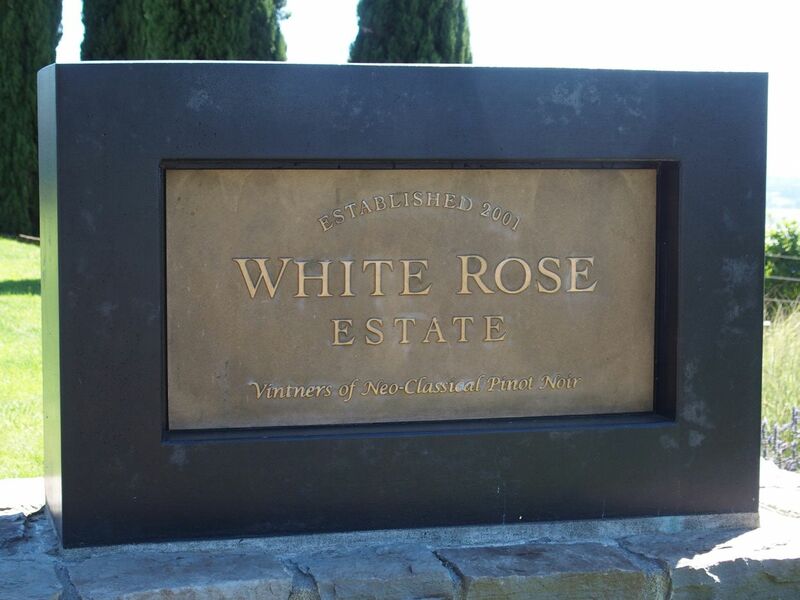 The winery produces about 17,100 cases annually, primarily from 60 acres of estate grown grapes. Varietals include Pinot Noir, Rosé of Pinot Noir, Pinot Meunier, Chardonnay, Pinot Gris, Pinot Blanc, Muscat Ottonel, Melon de Bourgogne and Chasselas Doré. There are five certified organic estate vineyards from which five single vineyard Pinot Noirs are produced. Each vineyard has been farmed organically since inception, and each vineyard contains ungrafted, pre-Phylloxera plantings that are becoming increasingly rare in the world of wine. The vineyards are not irrigated. Soils are volcanic, 10” to 30” deep on basalt cobble. Both current releases and library wines are sold through the tasting room that is open daily. The Exploration Flight Tasting Menu offers 7 wines, including 2 limited production releases and one library vintage served from the “Elva” repurposed bottling machine ($20, waived with $75 wine purchase). 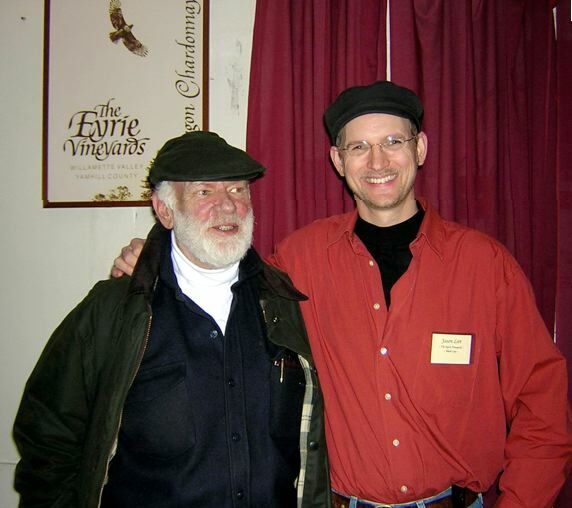 Visit www.eyrievineyards.com. A pilgrimage to The Eyrie Vineyards should be on every pinotphile’s bucket list. You will find a wealth of information on The Eyrie Vineyards in the PinotFile through articles I have written over the past eight years. The five single vineyard cuvées are produced identically with 100% de-stemming, wild yeast fermentations in small fermentation vessels, basket pressing, followed by aging one year plus in blends of cooperage of varying age including 18% new oak. 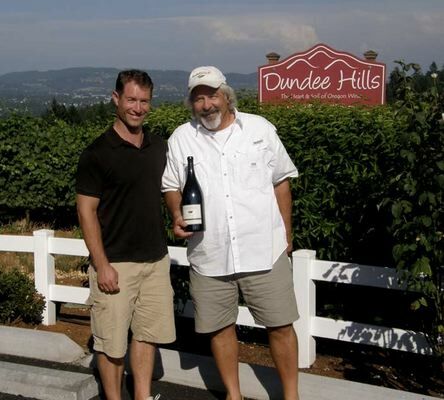 The result is an exploration of the Dundee Hills, from the lowest elevation Sisters Vineyard at 220’ up to the highest elevation Daphne Vineyard at 860’. Each wine reflects facets of soil, site, exposure and vine age that together capture a precise portrait of how variations in place can influence Pinot Noir. 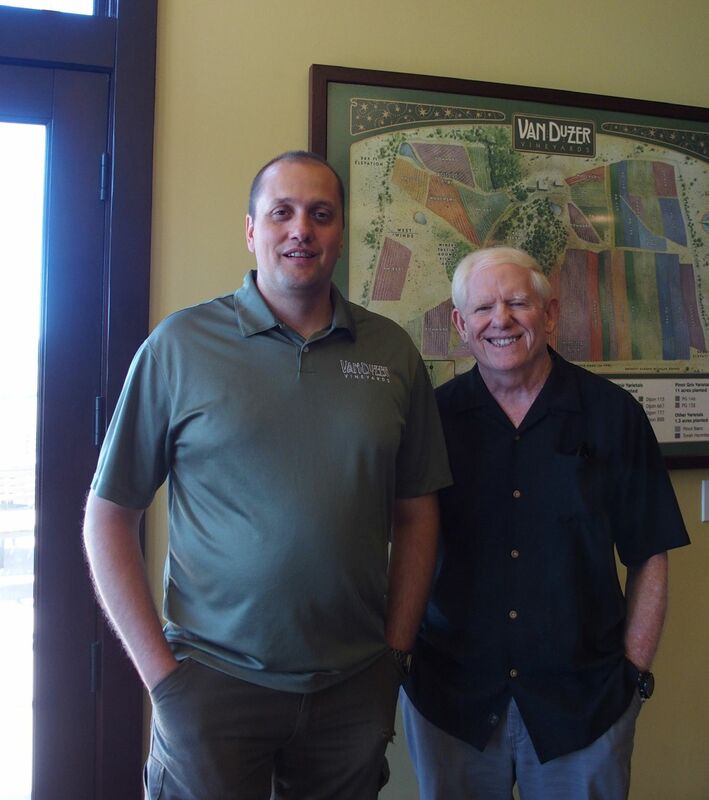 Bohème Wines was founded in 2004 by fifth generation California vintner Kurt Beitler. Kurt joined his family’s winegrowing tradition in 2000 by managing the Caymus Taylor Lane Vineyard near Occidental. This exposure to Sonoma Coast Pinot Noir led to his passion for crafting coastal wine. The team of Bohème vineyard and cellar workers, led by Kurt, farm all the grapes for Bohème’s production (pictured below - Kurt has on a blue jacket). The wines are vinified and bottled at the Bohème winery in Sebastopol. 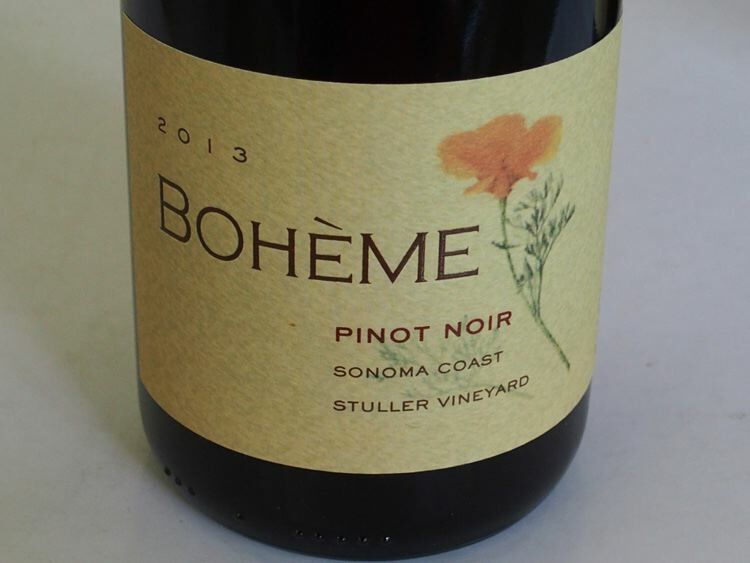 Tasting is by appointment (707-887-2287 or info@bohemewines.com) during the week or drop into the tasting room located in Occidental on weekends. I was really impressed with these wines from Kurt, his best to date. Taylor Ridge Vineyard was planted in 1999 5.3 miles from the Pacific Ocean at an elevation of 869 to 928 feet. 4.9 acres planted to Swan Pinot Noir clone and Wente Chardonnay clone. The Goldridge sandy loam soil is traced to a prehistoric marine embayment that once covered western Sonoma County. During the growing season, fog from Tomales Bay and Bodega Bay engulfs the vineyard. Stuller Vineyard was planted in 1998 amid redwood trees and peers over the Pacific Ocean 5.8 miles away. Two-thirds of the vineyard is a south facing hillside of gravelly Yorkville clay loam planted to clone 115 and the adjacent rocky hilltop is a plot of clone 667 planted in mixed aggregate and sandstone. Elevation is 1155 to 1263 feet. English Hill Vineyard is an 8.5-acre estate-planted high-density mosaic of Pinot Noir, Chardonnay and Syrah surrounded by rangeland. The vineyard overlooks Tomales Bay and the Marin Coast Range. Pacific fog engulfs the vineyard on summer mornings, while afternoon breezes slow ripening. Soils are Goldridge sandy loam and Steinbeck fine sandy loam. Pinot Noir clones 115, and 667, Calera, Vosne-Romanee selection, and BRC. Chardonnay clones are Wente and SY 877. Jim and Mary Dierberg, with forty years of winemaking experience in Missouri, discovered the potential of winegrowing in Santa Barbara County in 1996 and planted two estates: Dierberg Vineyard in the Santa Maria Valley and later Drum Canyon Vineyard in the Sta. Rita Hills - both under their Dierberg label. These cool coastal valley vineyards were joined by the warm climate site, Star Lane Vineyard in Happy Canyon. 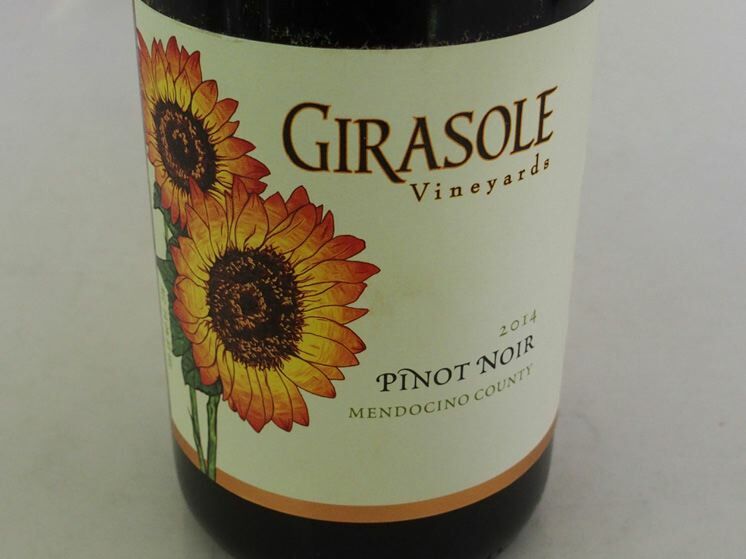 The Pinot Noirs have had a reputation for consistency, but were a bit rustic and earthy and not exceptional until the arrival of winemaker Tyler Thomas in the summer of 2013. With a masters degree in viticulture and enology at University of California at Davis, and experience in winemaking in the Central Coast and several years in Sonoma County, Tyler has infused the wines with renewed excellence. 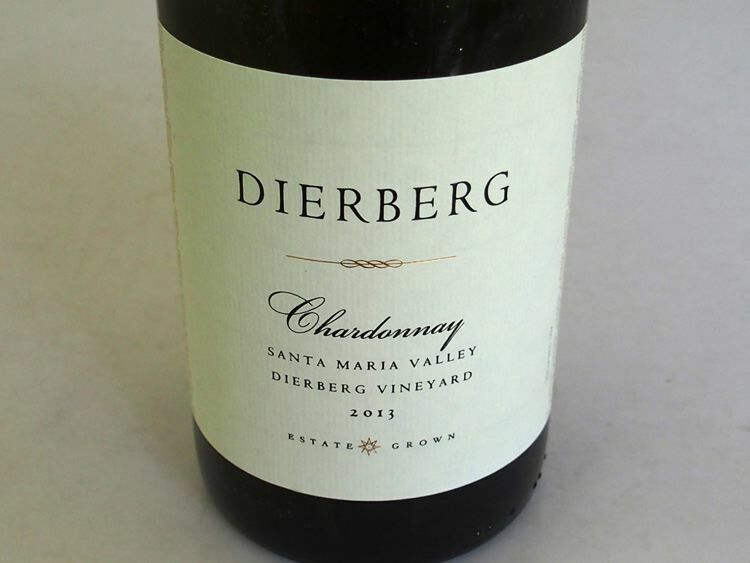 The 2013 wines reviewed here are the most compelling from Dierberg that I have tasted over the years, but I believe they will continue to improve as Tyler gains more experience with the vineyard sites. 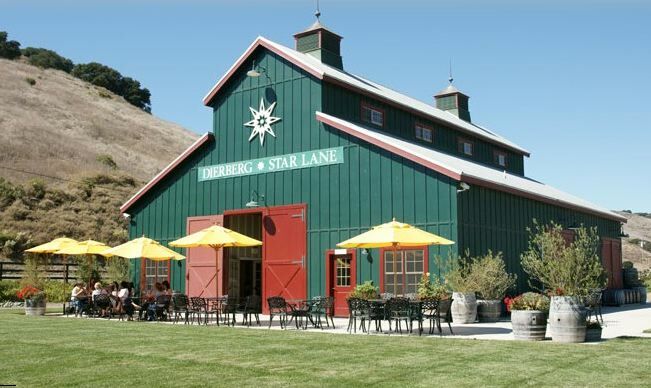 The Dierberg tasting room is located at the Star Lane Vineyard and is open daily. Wines are also sold through the website at www.dierbergvineyard.com. Veteran winemaker Daniel Moore works out of a Sebastopol facility designed for production of small lots of Pinot Noir. He has over 30 years of experience crafting Russian River Valley wines. The 100% Pinot Noir wines are sourced from winegrowing partners who practice sustainable viticulture. Pinot Noir Aroma Profile Changes with Ripening A report earlier this year in Journal of Agricultural and Food Chemistry scientists looked at how Pinot Noir’s aroma profile changes as it ripens. The researchers identified 49 main odor compounds in young and ripe Pinot Noir grapes from 2012 and 2013, using a technique known as gas chromatography mass spectrometry. Four odor components were found consistently in mature grapes. The results may prove valuable in assisting winegrowers and winemakers in figuring out when is the best time to harvest Pinot Noir. Oregon Wine Competition The Oregon Wine Competition winners were announced August 24 at the Medal Celebration kickoff event of the Oregon Wine Experience. This year’s Oregon Wine Experience had 2,500 attendees and raised $719,000 to support the Children’s Miracle Network hospital. 68 Oregon wineries entered the Competition that aims to become one of the top regional wine competitions in the country. Best of Show Red Wine was the 2013 Plaisance Ranch Syrah ($30). Double Gold Medal winners included 2013 Brandborg Vineyard and Winery Love Puppets Pinot Noir ($32), 2014 Ermisch Family Cellars Erendira’s Rise Pinot Noir ($35) and 2014 Irvine Family Vineyards Pinot Noir ($35). 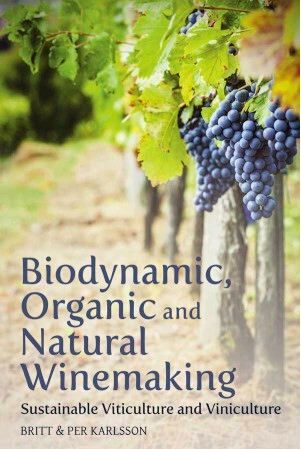 Organic & Biodynamic Wine Book from BKWine The book, Biodynamic, Organic and Natural Winemaking; Sustainable Viticulture and Viniculture is available now in English at www.amazon.com. This book is an invaluable introduction to sustainable winegrowing and winemaking for all wine enthusiasts and wine professionals. Wine Scholar Guild’s French Wine Scholar Program in California A wine course designed to provide committed students of wine an advanced and comprehensive specialization program on French wine. 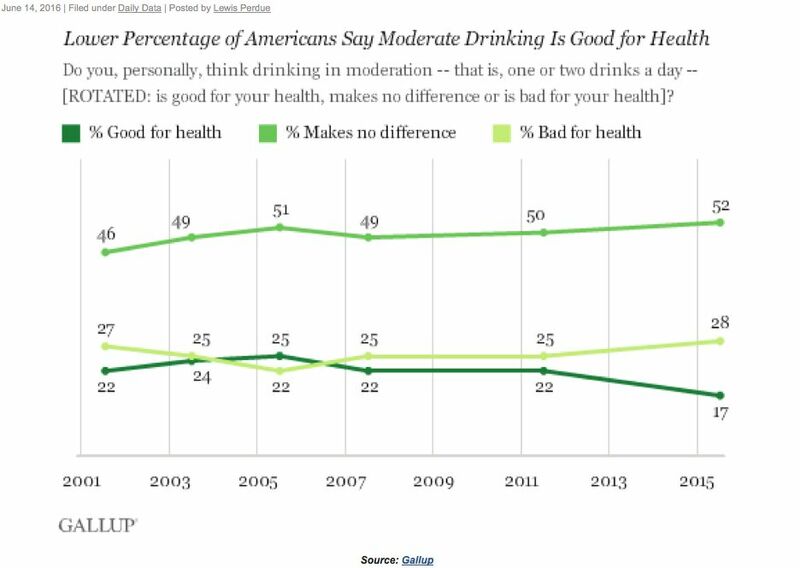 Many wine professionals have endorsed it. Courses in Los Angeles, San Francisco, Napa Valley, San Diego and Costa Mesa in September and October. The French Wine Scholar Program is also available via distance-learning. A Wine Scholar Guild French pronunciation guide is also available. For information, visit www.winescholarguild.org. La Crema Opens New Tasting Experience A historic barn nestled within Saralee’s Vineyard in the Russian River Valley dating back to the 1900s has become a multi level tasting room for La Crema and a destination for wine education and culinary programs. The tasting room is open daily from 10:00 a.m. to 5:00 p.m. at 3575 Slusser Rd in Windsor. A number of tasting options are offered as well as a Saralee’s Vineyard tour. Check out the options at www.lacrema.com/russian-river-estate/. The La Crema tasting room in Healdsburg will remain open as well.